It is hard to believe that we have just graduated our second daughter from high school. It seems like just yesterday our first child graduated and left for college. I thought the second would be easier. I was wrong! Things looked a lot different this time around. Different location, different child, different graduation. We gave Riley the option of doing a large graduation party like her sister had done, or go on a trip instead. HA! We should have known what that choice would be. Because we are new to this area, she felt like she may not know a lot of people yet (that's a laugh!) and so she chose a trip. We meant a little one. She interpreted- New York City! So yes, she and her father flew to NYC for a four day trip, stuffed full with three Broadway musicals, free tickets handed to them for a one man comedy show, free tickets handed to them for the Museum of Natural History, a backstage Disney tour and more. Lots more. They are still talking about the trip. Well, Riley is talking about the trip, Clarke mostly talks about how much his feet hurt and how he had to buy new shoes in NYC! We are grateful she was also invited to participate in a small homeschool graduation ceremony with several friends. Unlike her sister, she walked the aisle to Pomp and Circumstance and was presented an official diploma by her daddy. Her grandparents from North Carolina were able to attend as well, which was a special treat for this Air Force family. It is always a treat to have family around for a special occasion. We ended the night with a special dinner and her opening several gifts. A quiet time of celebration for our sweet princess. Riley heads to Mississippi in a few short months to pursue a BFA in Musical Theatre. I am so excited that she was accepted into the program and know that she will shine there, but oh, my momma's heart is slightly dreading the day. OK, more than slightly. I will miss her smile, her humor, her wit, her laugh, her piano, and singing. I will miss my Disney Princess. I have had the privilege of walking through life with this girl for 18 years, and I know it is time to let her spread her wings and bless the world as much as she has blessed us! Wise Guys- Book review for the Men in your life, with a lesson or two for you, ladies! If you frequent this blog, and a BIG thank you to those who do, you know that I love to review. Though I have cut back significantly this year, book reviews still take a priority because, well, they are just fun to do. When you love to read, why pass up a good book? I confess, though, that most of the books I review are for women and children because, you guessed it, I am a woman that has children. But I do also have a wonderful husband, and it is because of him that I decided not to pass up the recent opportunity to review the book Wise Guys: Unlocking Hidden Wisdom from the Men around You, by Kent Evans. Let me just start by saying, this book is a must read for the men in your life. While you are at it, read it too! It is a GREAT book! For background, Kent Evans is a husband of 20 years and father of 4 sons. He is the board chairman and co founder of Manhood Journey, a ministry for mentors and fathers, encouraging them to raise up the next generation of Godly men. 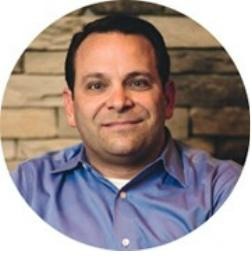 He wrote this book for men; to give them tools needed to find "wise guys" in their life and to encourage them to soak in the lessons those guys could offer. Through a series of personal stories woven into 17 chapters, Kent tells of men he has encountered throughout his life and the impact they have had in making him the Godly husband, father, and businessman that he is today. More importantly, he encourages men to seek those types of men out and gives 11 tips on how to begin that search. What I have found fascinating about this little, 53 page, power packed book is Kent admits that some of the men in his life he sought out, while others simply appeared at the right place at the right time. He recognized that he needed to look at the men that he admired and then learn what he could from them in terms of life skills, leadership and faith. Other times he simply allowed God to move in his life to bring those men to him in unexpected ways. Each chapter concludes with several "Questions to ponder", making this a good book for group reading or just for personal reflection. Lest you think this is just a how-to book, do not fear. While packed with things to make you think, Kent's humor has left me giggling several times and makes this book a fairly easy read. As a matter of fact, I have taken to reading a few chapters each night and then my husband catches up by the following evening reading those same chapters. Not usually how we read a book, but sharing it has worked this time. Next on the list- have our 14 year old son read it! And then maybe every husband, father, son, and leader we know read it. Guess what is on the Christmas list this year, men?! Wise Guys is simply that good and that inspirational. It is a good reminder that we need Godly people, in this case men, in our lives that can inspire us, challenge us, and even push us to be and do better. To be the people that God would have us to be! Can't think of a better thing to to aim for! And while you are at you, you just might inspire someone else and become a "wise guy" yourself! Wise Guys will be released June 1st, but for now, and thanks to FlyBy Productions, I have a copy to give away to a reader- Just leave me a comment and tell me who you would bless with this book and a random winner will be chosen next Friday! I think good science programs for the Elementary aged child are hard to find. There, I said it! Really they are, especially when you desire to teach your child from a Creationist point of view. 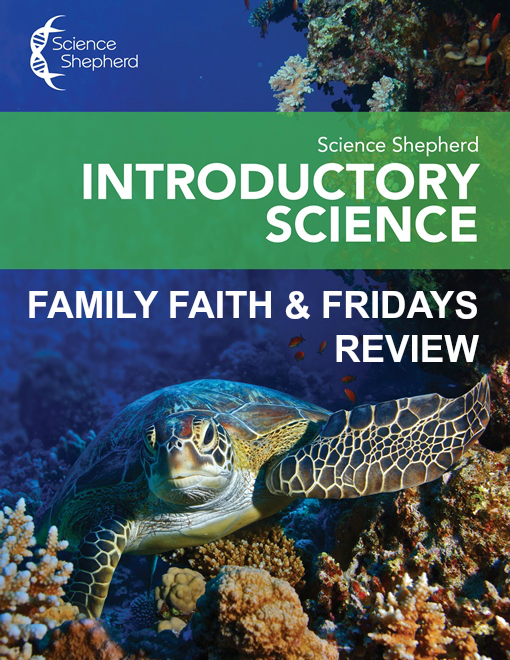 I have spent years looking for the perfect program and think I finally found it in Science Shepherd and their Introductory Science for kiddos ages 6-11! This on-demand video lesson based program is awesome! It is a complete science program wrapped neatly into 35 weeks of videos, one for each day of the week, plus additional videos that contain experiments or activities. With your subscription, you have access to the video course for 12 months. Each video is about 2-5 minutes long. Following the day's video your child then completes a corresponding workbook page. Questions vary from short answer to matching and multiple choice. There is a crossword puzzle that reviews the key points learned at the end of each week. Don't worry, there is an answer key to help you out! There are two choices for the physical workbooks, level A for ages 6-8 and level B for ages 9-11. Level B is identical to level A, except it has additional content for older ages. If there is an additional video for that particular day, there will also be a page in the workbook to help you follow the experiment or activity, or institutions to help you complete that activity. On the website you can also find a complete supply list for your convenience. Well, we dove right in as soon as we got it, putting what we were currently using aside to give this our full attention. I am so glad we did! Colby loves this program and I love that he is able to use it on his own! Each day, we are on week 10, he simply pulls up the website to access his course, and watches the short video. He loves the fact that they are short, and sometimes will even watch the same video twice in a row just because. They only complaint he has is that his mean mom, that would be me, will not let him watch the next video until the NEXT day. Go figure! The videos are narrated by a teacher who sits at a desk in front of multiple screens, much like a newscaster. Vocabulary words, pictures and videos then pop up on those screens as the concepts are taught and discussed. While I find the narrative a little dry, Colby has had no complaints at all! The visuals are clear and oftentimes beautiful and therefore easy to watch. The videos are labeled by week and day on the homes screen, making it fairly easy to find your place but I think it would be awesome if there was a feature addedvthat took you directly to where you were each time you logged in. That's a lazy mom thing, I know! After Colby watches the video, he then finds his place in the workbook and complete the worksheet for that day. By. Him. Self! Yep, no help from mom is needed which any busy homeschooling mom can appreciate. Yes, we discuss together what he has learned, but I do not have to sit beside him to help every second that he is working! If an activity is assigned for that day, he simply let's me know and we do those together. 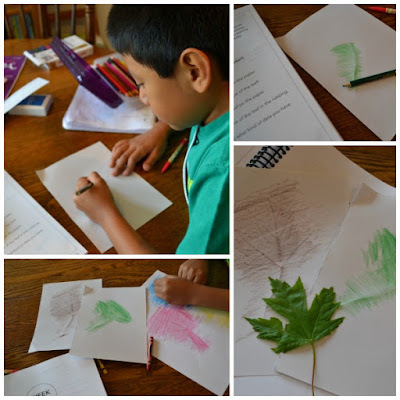 So far he has made a pinecone bird feeder, classified flowers, made fossils, done leaf rubbings, seen how erosion works, made volcanoes, and even learned about hot and cold air masses and how they interact. 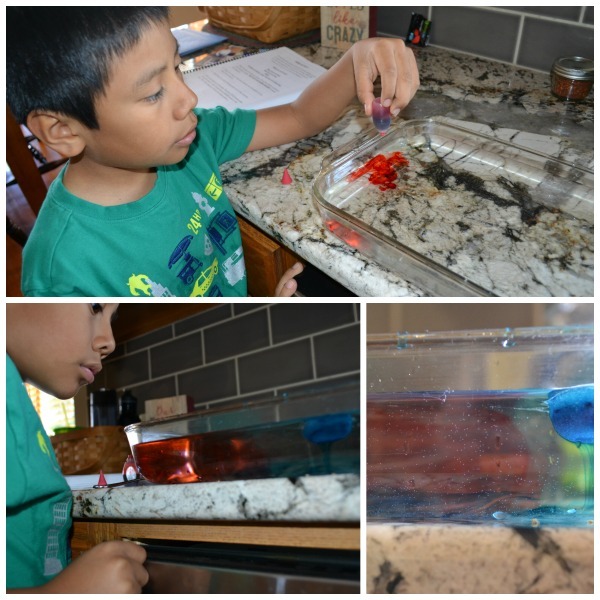 The activities have simple instructions and are easy to do, but most importantly they are fun! So what do we love about Science Shepherd? Honestly, just about everything! I love that it science is taught from a Creationist point of you. That God is mentioned freely and often. I love that the short videos keep the attention of my active almost 9 year old, and yet do not water down the information, and that the videos are perfect for auditory and visual learners! I love that the program is simple enough for a child to use with minimal help from a parent. And I love that each morning my son wants to start his day with Science Shepherd. 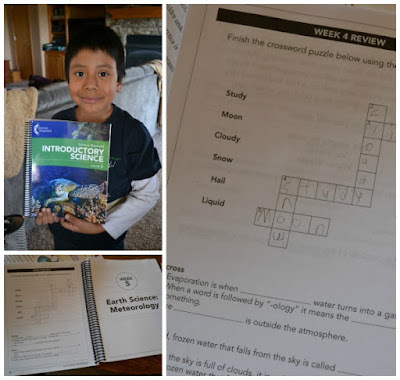 What better testimony could you have for a well done elementary age science program? 1. Riley auditioned and is going to be in the local community theater's production of Joseph and the Amazing Technicolor Dreamcoat. We are so proud of her! 2. Said daughter also just returned from NYC for her graduation trip. Her request was no party, just a trip, so she and her dad hopped on a plane for a four night trip. You can read all about that trip here. 3. This daughter, in case you thought I forgot about her, is busy working for David's Bridal as well as her own business of alterations and T-shirt quilts. (She recently finished 4 of them!) She has a lot of things going on in her life right now and I am excited to see where God is taking her. 4. My boys- yes, we do still have them! ;) They are busy finishing up school and finding time to play in between subjects. Salem is also working part time and I still can't believe he is going to be a freshman in a few short months! 5. Talk about silly, but I still have to share. Our dogs shed like crazy. Not a good thing when you have a child who is allergic to dogs. So we broke down, paid way too much, and bought one of those furminator thingies from Pet Smart. Oh. My. Goodness! Talk about worth its weight in gold. This was just try number one with that silly thing. Aspen loved it and we could have made another whole dog with the hair that came off her! Seriously. Yes, we are graduating our second daughter, Riley, officially this weekend. I cannot even believe that I have another child leaving the nest! And headed to Mississippi on top of that to major in Musical Theater. I am too emotional to even begin to talk about our journey with this kiddo for now, so instead I am going to let her tell you about her graduation gift from us. She opted out of the traditional party route and instead asked for a trip to New York City, Yep, she and her dad flew to NY for a four night, 5 day whirlwind of a trip. Our first day involved wandering around Times Square and seeing a Broadway show for free! On the second day we window shopped around Times Square and 5th Avenue, went to Bryant Park and saw the musical Tuck Everlasting in the evening. 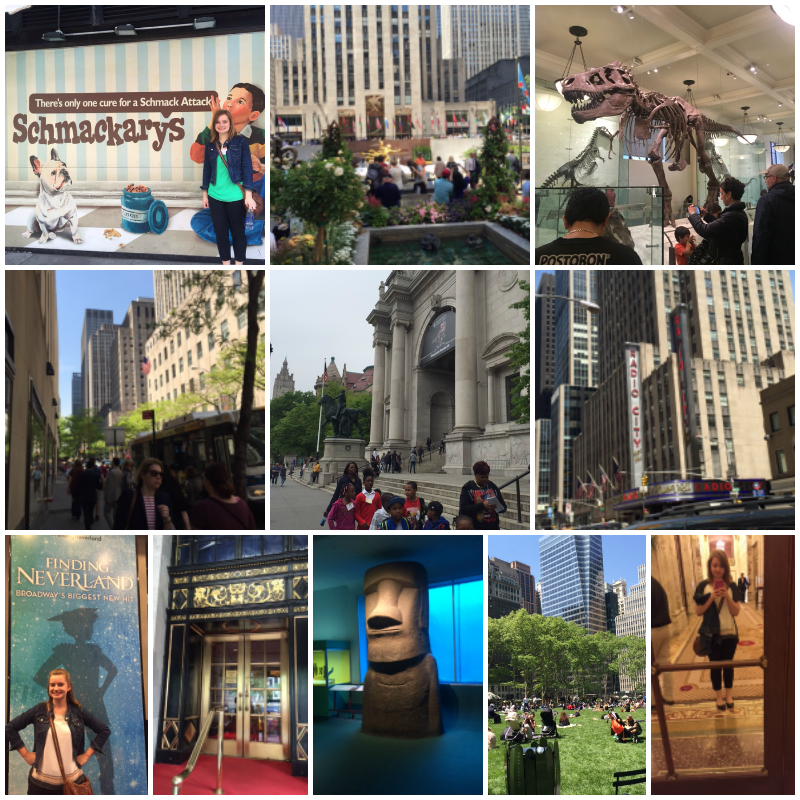 Day three saw us exploring Central Park and the Museum of Natural History before we got rained on, took the subway back to 42nd Street, and saw Finding Neverland! During our last day we took a Disney on Broadway backstage tour where I got to become a lioness. I can check that off of my bucket list. We then saw Aladdin on Broadway and met our lovely cousin for dinner! 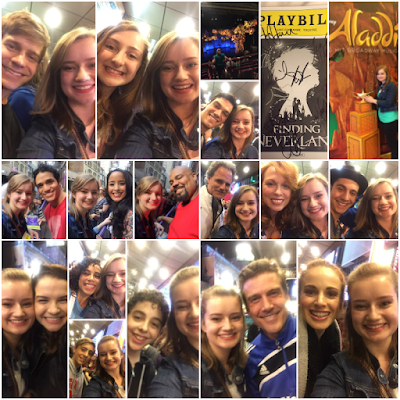 I loved meeting all these amazing and talented actors after seeing their shows! There ya go, five days in my favorite city summed up in one blog post :) It was such an amazing trip! I met so many nice and encouraging actors and people. The quality of theatre I saw astounded me and reminded me why I love acting. By the end of the trip, I felt like I really belonged in New York City. Haven't I done this before? I am sure I have! And I am pretty sure I said I was done with Legos! At least once in our child rearing, I swore off Legos because of the heartache they caused. Then I said no more sets were coming into our house No. Matter. What. And still, they are everywhere. And now only one kiddo is playing with them. One very unorganized, spread it all out, kind of kid. Lego factory look. I will settle for a slightly picked up look. Hey, that's big for me- you know how I like organization. I am sure there are better ways. I am sure there are cuter ways. With our official homeschooling year coming to an end soon, I once again find myself thinking back on our year. What the kids have learned, yes, but more importantly, what I have learned. Each year as we pray about decisions for our upcoming school year, I like to evaluate what we have done as well as WHY we have done it. Our time spent together. I know some people talk about how they can't wait to send their children off, but really, I love having mine around. No, that does not mean every minute of our day is fun or easy, but it does mean at the end of each day I am thankful for the time I have with them. Freedom of Religion. God is welcome in our school at any time. I love that we can do math one minute and read the Bible the next. Or Bible in math. I love that we can stop and read the Bible when we need some time in the Word. Opportunities to serve. Since we are not tied to someone else's calendar we are free to drop what we are doing to help others. I pray we are teaching our kids to serve others by cooking meals, visiting friends, and doing life with those whom we love. Travel! While many people have to follow a school calendar, we follow dad's calendar. When he is off oftentimes we are off as well, and where he goes we go. Lucky him! Specialized Academics- I love choosing curriculum each year. There are so many things to choose from and so many good choices. What is even better is that I choose according to each child. What are their interests? What are their learning styles? I make decisions based on the individual, not a state checklist. Beyond blessings! Gifts from a God who make this path for us a reality! Wanna read about more blessings from homeschooling moms? Click on the banner to get started! Yes, you read that correctly! We have the privilege of giving away another Bible! I am so excited about this one! 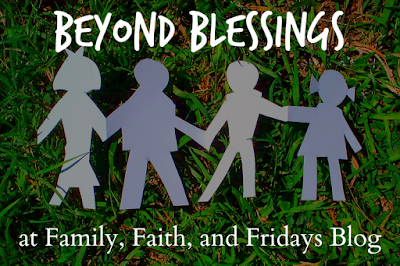 Those who know us or read the blog on a regular basis know we participate in family devotions. While other things sometimes require our attention in the evenings, we fight hard to make time each night to spend time together in God's Word, reading and studying together. Some of our best family discussions have been during those evenings and I would encourage you to carve out time in your schedule to make it happen in your home. Let us be faithful to introduce them to the One who knew their name before the beginning of time. The Family Devotional Bible would be a great way to get started. 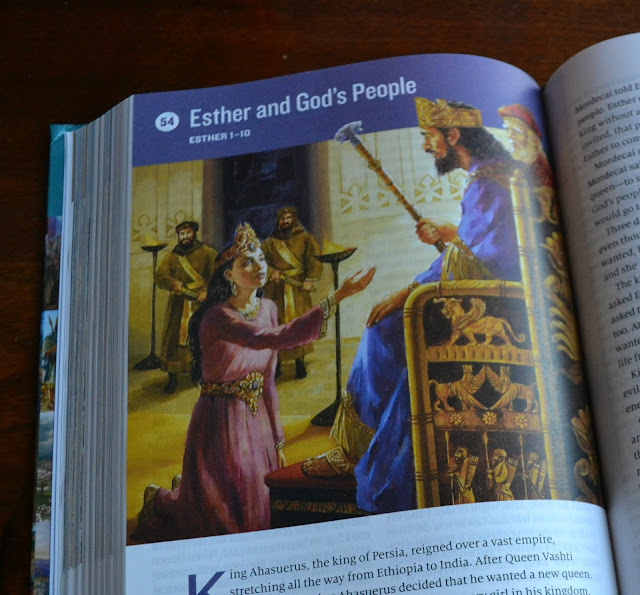 This 1386 page, full colored Bible in the ESV translation is geared towards family reading. Sprinkled throughout this hardback Bible are 130 family-friendly retellings of more well known Bible stories. They are written simply so that even young children can listen and comprehend. 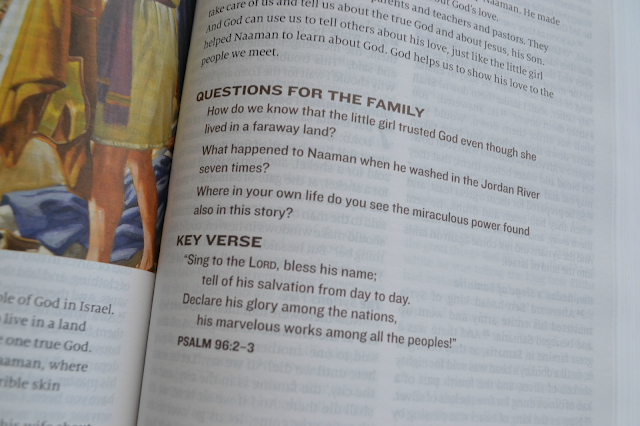 After the retelling you will find a Questions For the Family section as well as a key verse. The questions range from simple comprehension questions to life application questions that will help facilitate further conversation. Each story is accompanied by a full color painting that can be enjoyed by children as you read. We loved looking at all of the pictures, but I will tell you that most of the people are depicted as fairly fair-skinned if that is an issue for you. In the back of the Bible you will also find an index of the devotions for quick reference as well as 9 full color maps, from the places Paul visited to maps of various cities. 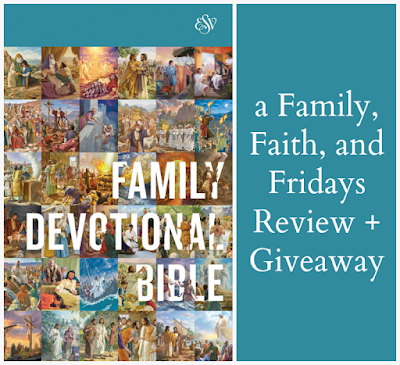 With the goal to "strengthen families with God's word...", this beautiful Bible is sure to capture a special place in your family's reading basket! So how can you win a copy? Simply leave me a comment and tell me how I can reach you! A random name will be drawn next Wednesday! Who decided that the school year should be so long? Really, I would like to know so I can have a chat with them. There just seems to be something wrong about checking weeks off a calendar to determine if your child has learned enough for the year. Whose great idea was that? Regardless though, I am a rule follower, and so yes, we do check off weeks of our official "school year." While we school year round, my kiddos only have about 4 weeks of their current grade levels left. Did you hear a little praise the Lord there? Friends, we are weary! We started off strong in August of last year and really loved our Sabbath Schedule. Having a week off every 6 weeks works well for us. But hubby's deployment kind of, well, mostly, put a wrench in things and we got woefully behind. It was worth it to be off when he was home and to take some extra time off when he returned home for good, but boy, have I felt behind. We even put aside our regular schedule and having been schooling straight through with the exception of one week since January. Exhausting. No wonder school systems take breaks every month. Forget celebrating obscure holidays, they are graciously protecting their teachers from burnout. I get it now! So our eyes are on the finish line and we are pushing forward. Thankfully we have finished up several minor subjects so our days are shorter and we have more time to enjoy the beautiful weather here in Nebraska. Our plan for summer? Well, don't tell the kids, but school does continue in some aspects. Both boys will do math and science, as well as a few electives just to stay current. Summer is also a time that we are able to use many of the amazing review products we have been blessed with! Because we have a crazy busy August, the plan is to take off the whole month. There is a wedding to attend of a sweet young lady we love very much and have known since she was 6, we have to take Riley to college, and then my mom is having a knee replacement and we will be spending a few days with her to help her recover. Once we return, we will begin our new grade levels in September. Never a dull moment, but we are thankful for the opportunities God has given us.